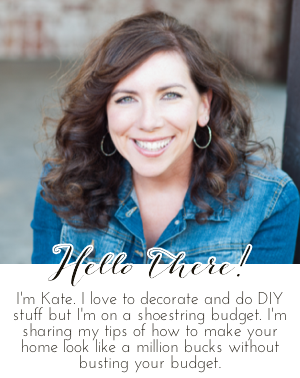 Chic on a Shoestring Decorating: Flaunt it Friday Features! Involving Color's beautiful art display behind their couch. The Polka Dot Umbrella's awesome dresser refinish. Olde Tyme Marketplace's darling vintage seed sack pillows. A sweet metallic table from a $10 thrift store find at Junkin' Junky. 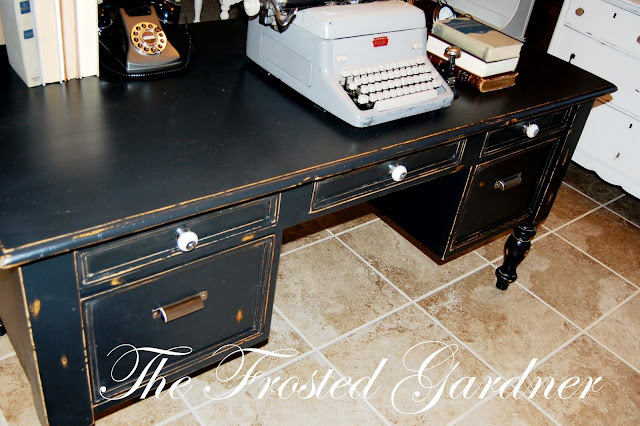 A beautiful desk makeover at The Frosted Gardener. A cute stenciled pillow from Lemon Tree Creations. A great Restoration Hardware knock-off sign by Vintage Skye. A cheap and beautiful den transformation at House Finally. A lovely damask diy mousepad by MdSchoolMrs. A cool DIY shim mirror by Chapman Place. 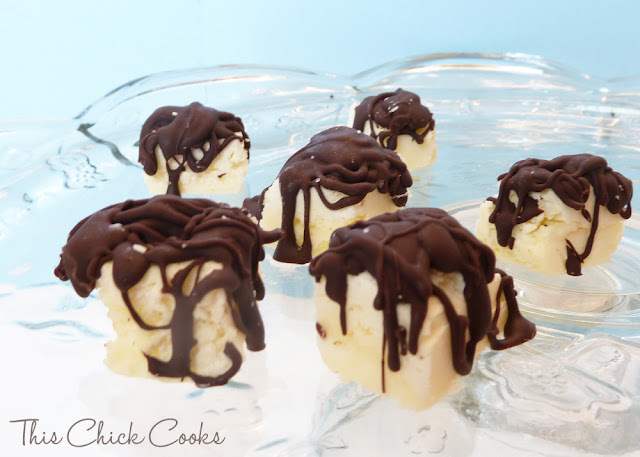 Don't these chocolate covered cheesecake bites from This Chick Cooks look heavenly?! Hope you enjoyed my feature picks, I know I did!! Thank you for featuring my cheescake bites! 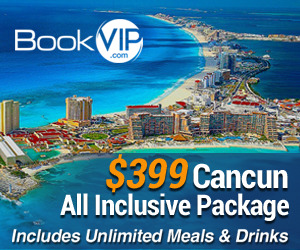 All of the features are great. I want to make some of those pillows! Thanks for hosting the linky party and have a wonderful weekend. Kate, thank you so much for the feature! You made my day! Oh and to answer your question, the frames are from Pottery Barn. Have a great weekend! You are so sweet for including my mouse pad in your features Kate...My first ever feature - thanks so much. I even figured out how to make your button appear :) A good start to the weekend! Hope yours is great as well. MJ from MD School Mrs.
Hugs! Thank you so much for featuring my Rest. Hardware knockoff. So many lovely ideas in this post! I get alot of my inspiration from all you lovely bloggers out there! happy to have found it! We appreciate it so much!